Some crazy stuff goes on over there constantly. The fictitious 'Fukushima Water' campaign is meant to be controversial, featuring a glow-in-the-dark energy drink made from water sourced from the plant. Tokyo Electric Power Co. said Monday it will disclose all data on radiation levels measured at the crippled Fukushima Daiichi nuclear plant to enhance transparency, doubling the amount of data made public. The decision follows harsh criticism last month when it was revealed that the utility had not disclosed immediately the possibility that highly radioactive rainwater was leaking into the ocean through a gutter, even though it had learned of the risk last May. April 01--A former chief U.S. nuclear regulator asserted Tuesday that the massive volumes of tritium-tainted water stored at the Fukushima No. 1 nuclear plant can be "safely" dumped into the sea after it is diluted to reduce the levels of radioactive tritium below the legal limit. 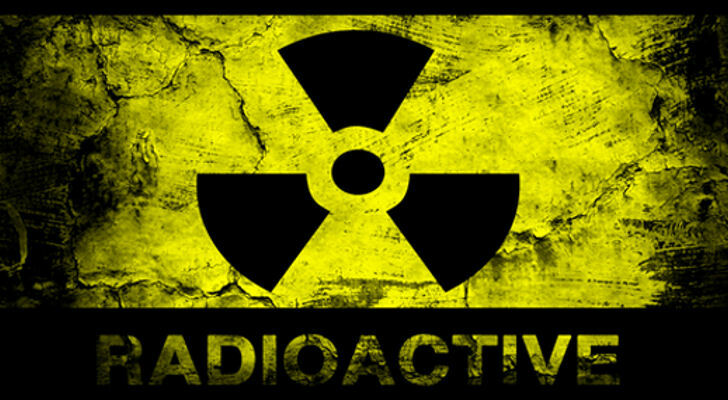 "Most people don't know what tritium is, so what they will think about is that it's bad, something that's really dangerous. But tritium is an element that we know a lot about," Dale Klein, chairman of Tokyo Electric Power Co.'s Nuclear Reform Monitoring Committee, told a news conference in Tokyo. "It can be released safely into the ocean. We know worldwide what the safe limit for tritium release is," said Klein, who once headed the U.S. Nuclear Regulatory Commission. A robot sent to inspect a reactor' containment vessel at the Fukushima Daiichi nuclear power plant stopped responding three hours into the operation. And most news on the topic is at ENE-News (not duplicated here). This is so stupid . . . .
TEPCO outside adviser Dale Klein [and NRC stooge] was quoted by Reuters as saying that evaporation method was used after the Three Mile Island nuclear disaster in the US but the amounts were much smaller. They have huge volumes of water so they cannot evaporate it like they did at Three Mile Island, added Klein. The Reuters quoted Fukushima nuclear plant chief decommissioning officer Naohiro Masuda as saying that he is not clear when a final decision about evaporation will be made. Lots and lots of big regional earthquakes in last 2 days over 6M. A small drone marked with a radioactive sign landed on the roof of the Japanese Prime Minister's office in Tokyo Wednesday morning, prompting police to open an investigation into the incident. Why Dont They At Least Cap and halt the GroundShowering? ?they want us to die?WWRROOWWwwwhat about the kids? the babies? Worldwide warnings about atomic reactor pressure vessel (RPV) risks have elicited little more than a yawn from the U.S. Nuclear Regulatory Commission (NRC). It’s a Set up. Clever, brilliant, murderous intent. WIKILEAKS has Over 18,000 documents on Fukushima! Get out your pitchfork and start diggin'! SONY works hard to promote nukes in Japan as "safe"
Attached is an article I saw in the July/August 2014 Harvard Business Review. It’s a recounting of the amazing (and lesser known) events which transpired at the other Fukushima nuclear plant, when the largest recorded earthquake to ever hit Japan (9.0) and subsequent tsunamis hit in March 2011. But not for the courage, sacrifice and teamwork of the plant’s superintendent and his team, there would have been two nuclear plants that melted down in Fukushima in 2011.
but few were aware of this story (a much more sensational story) about a sister nuclear plant just 10 km south (Fukushima Daini), which narrowly avoided (within 2 hours) the same disastrous fate. The plant superintendent and his team banded together against unknown, ongoing and ever-changing/ever-worsening conditions for 4 straight non-stop days, knowingly risking their lives -- not because they had to, but because it was the right thing to do. It feels like Captain Philips meets The Impossible / Armageddon meets Saving Private Ryan. This could be a great story for Sony to bring to the big screen – thus my purpose of bringing it to your attention: to get your take, and see if it is something that Sony should pursue (first step being tracking down and securing rights as needed).